Sky Sports pundit Paul Merson has delivered his prediction for West Ham United’s trip to Manchester United on Saturday. The former Arsenal man has taken issue with the Hammers’ lack of consistency this season and believes that the Red Devils will ease to a 3-0 win at Old Trafford. Merson took a dig at the Hammers over them not really having anything to play for as he claimed it was just a case of them getting through the rest of the season. “I expect Man United to win this one,” he wrote on the Sky Sports website. “They’ll do well to turn their Champions League quarter-final with Barcelona around at the Nou Camp, so they’ve got to fight to get into the top four now. This is going to be a tough one for West Ham, there’s no doubt about that. As Merson says, they have flip-flopped this season, seemingly trading wins and losses at will and struggling to find a consistent run of form. 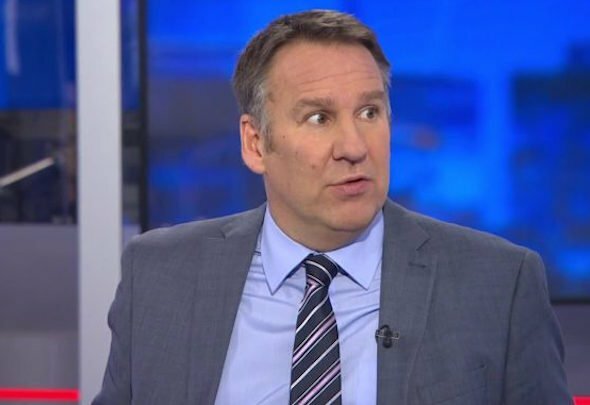 They are going through a brutal run of games at the moment, as Merson mentions. They were defeated by Chelsea on Monday, have United on Saturday and take on Tottenham Hotspur pretty soon as well. That’s a really tough fixture list and it’s going to be difficult for the Hammers to come away with anything from those three games, at least. United will be looking to bounce back after suffering defeat to Barca in mid week, but they aren’t in great form. They’ve lost steam since Ole Gunnar Solskjaer was appointed permanently, curiously so, and so there is definitely a chance that West Ham come in and spring an upset. It’s going to be a tall order, though.